In the article “The Lesson Taught by the Weinstein Scandal” I began to look at how the #metoo movement might come to affect company behaviour. A look at the trends that have emerged over just the past few months reveals a clear shift in approach. Companies and investors are developing an unprecedented sensitivity to #metoo issues and beginning to incorporate gender and workplace culture considerations into the way they carry out their business. This is occurring both in the risk-prevention sense and in the philanthropic sense. In the former regard, venture capitalists and other investors are increasingly taking steps to steer clear of targets with poor gender cultures and guaranteeing against potential risks through the use, for instance, of so-called “Weinstein clauses”. Concomitantly, in the latter regard, impact-investment initiatives aimed at enhancing gender equality and opportunities for women are also on the rise, through phenomena such as “gender-lens investing”. On the risk-prevention and crisis-management side, experts in the field are reporting that #metoo concerns are now seen to be “on par with cybersecurity breaches and compliance with international corruption laws”. In merger-and-acquisition deals, clean harassment records and healthy workplace cultures are becoming a make-or-break element, with due diligence assessments directing questions among others at any potential #metoo issues within the target. According to a recent publication in the International Financial Law Review, parties to such transactions are increasingly being advised to use so-called “Weinstein clauses” in merger documentation, i.e. representation-and-warranty clauses requiring the target company to fully disclose any sexual harassment allegations, incidents or settlements, to ensure such issues do not lead to material damages or post-closing recourse. Moreover, companies fraught with harassment scandals are hiring law firms to conduct specifically-geared internal investigations to assess not only how misconduct complaints are being dealt with, but also to look at workplace cultures more generally. Covington & Burling and Debevoise & Plimpton, for instance, were hired in August to conduct an internal investigation into harassment allegations and into “cultural issues at all levels of CBS”. Venture capitalists and insurers are similarly seeking ways to sanction companies implicated in harassment scandals through “clawback clauses,” viewing such behaviour as indicative of a weak corporate governance and flawed workplace culture. These trends reveal a pervading awareness that there is a price to pay, be it legal, economic or reputational, or all of the above, for failing to take workplace harassment and gender equality concerns seriously. This month revelations that one of the biggest tech companies, Google, had paid millions of dollars in exit packages to male executives accused of misconduct prompted “Time’s Up tech” employee walkouts across the globe, with thousands of employees denouncing a toxic work environment. Yet #metoo is not only filtering into corporate decisions to avoid the potentially catastrophic spinoffs of a harassment scandal. Many investors are increasingly seeking to gear investments specifically at addressing gender inequalities. In this sphere, “gender-lens investing” (GLI), an impact-investing approach encouraging the use of capital to deliver financial returns while at the same time creating a positive impact on gender, is gaining considerable momentum. 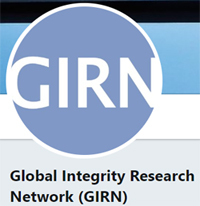 The Global Impact Investing Network (GIIN) defines GLI as “investment strategies applied to an allocation or the entirety of an investment portfolio, which 1) seek to intentionally and measurably address gender disparities and/or 2) examine gender dynamics to better inform investment decisions”. Importantly, GLI promotes the idea that integrating gender into investment decisions yields both positive financial returns and positive social outcomes for gender equality. Indeed, besides ethical imperatives, there are also growing stats indicating that enhancing female access to capital is good for global business, with McKinsey & Co. estimating that advancing gender equality could add $12 trillion to annual global GDP by 2025. Current GLI approaches focus on one of three primary investment objectives (or “lenses”): enhancing access to capital for female entrepreneurs, supporting gender equality in the workplace and investing in companies that sell products and services directed at improving the lives of women and girls. These areas are significant not only in emerging markets but also in developed economies, which present serious gender gaps in access to capital. For instance, it is estimated that female-founded firms constitute nearly 40% of privately-held companies in the U.S., yet only 2% of U.S. venture capital financing is allocated to female founders. In practice, in the GLI-process, investors can look at various gender metrics – be it the number of women in leadership roles, the number of female employees, the provision of parental leave, boardroom diversity or where women are in the value chain of a company – when seeking investment opportunities. For instance, Pax World Funds launched the Pax Ellevate Global Women’s Leadership Fund PXWEX in 2014, which invests in the highest-rated companies on the basis of gender diversity on boards and in executive management. The incorporation of gender into investment decisions is not a new phenomenon and has been materialising over the past decade. However, since the #metoo movement reached global prominence last year, GLI appears to have gained renewed impetus. Leaders in the GLI movement believe that 2018 is “the year of gender lens investing”: #metoo has made the risk clear and opened people to view GLI as an opportunity. According to GIIN CEO Amit Bouri, there has been “an increasing number of investors interested in opportunities that address issues of global gender inequality.” In 2017, according to Bloomberg, asset flows to investments focused on women and girls reached an all-time high of $2.2 billion. Both the risk-averse and philanthropic business trends bear the potential to lead to positive short-term and long-term outcomes. One immediate spin-off is that targets of potential acquisitions or investments are prompted to implement effective measures, beyond policies that are good on paper, to ensure their compliance programs reflect best practices and provide adequate protection to employees. This month, Google announced a series of steps to tackle its workplace problems, including ending forced arbitration for sexual misconduct claims, overhauling its investigations process and sharing data and outcomes, updating its sexual harassment training and providing new support systems for people who come forward. In the long-run, GLI can also meaningfully contribute to achieving UN Sustainable Development Goal (SDG) #5: Gender equality. Yet despite these auspicious prospects, some issues remain. In particular, when it comes to GLI, the relative novelty of the phenomenon means a lack of consistent and established precedent and few studies measuring its success. There is also a gap in reliable and comprehensive data, in particular, gender-disaggregated data, upon which informed business decisions can be made. GLI also risks leading to a blind focus on women, when the lens should be gender, bearing in mind that “making change means looking at the socially constructed roles, relationships, and expectations of women and men and the ways that these are reinforced by educational, political, economic, and cultural systems” (Kaplan & VanderBrug). The point of GLI is not to benefit women only, but benefiting society at large through investing in gender equality. At the same time, it has been noted that conversations about GLI tend to focus on the two opposite ends of the spectrum, namely either on women as business leaders or on women at the margins of the economy, overlooking the “hidden influencers” in between that bear a significant impact on companies’ operations (Foote). Finally, certain ethical dilemmas remain, in particular between feminist advocacy and capitalist economic theory. Kaplan & VanderBrug write that what is necessary is a “new economic logic that bridges the market logic of financial returns with the feminist logic of women’s equality”, where traditional investors do not fear to become “too pink” and traditional feminist advocates do not fear they are selling out. Despite such compelling considerations, which can only be hinted at in this setting, it should be borne in mind that risk-averse business decisions and GLI are not catch-all solutions. As leading figures in the field stress, GLI, with its focus on gender and financial returns, cannot take the place of philanthropy, which remains vital to achieving that which investment and business can never achieve. That’s a very good article and ‘hot topic’ that underlines the unprecedented sensitivity to #metoo issues and the efforts being made to incorporate gender considerations into the business agenda. The MeToo campaign will span every industry and will force the C-suite team to give priority on the HR policies and foster a respectful culture adapted to a gender-balanced talent pool. Thank you very much Aspasia – let’s hope indeed that these new trends bring the deep-rooted (and not merely superficial) change that is needed in the business world and beyond. Dear Liemertje, I really liked your post as it is a very actual subject. I would like to focus on the Gender-lens investment (GLI) part of the article. The concept of investing in organisations that not only focus on receiving a certain financial return, but also on the wellbeing of women, does not sound that strange or renewing. Or does it? As you already wrote, the concept of GLI existed for a couple of years but has only gained more importance since the Weinstein case became public and the #metoo movement really came into action. Since then, more and more organisations and corporations are focusing their strategies and corporate structures on gender equality, as this not only seems to become a new standard, but also a factor to be feared. The companies could see their reputation damaged due to harassment cases that occurred (especially these past years). But “healthy” companies will see a growing interest of possible investors, will have more motivated employees and will obtain a better reputation. These changes all sound very promising, but I can see two reasons why GLI still isn’t that well-known to the main public. The first one is because there still isn’t too much proof of the positive effects it can have on companies. There are just not enough studies that show the effectiveness and positive effects of GLI based over a longer term. This frightens possible investors, as investments are still meant to be value-increasing. So, there is a need for further studies in this area. The second reason is because it has only known a big increase in publicity because of the entire Weinstein case and all the other events that followed. Before the Weinstein case a lot of people (including myself) had never heard of the concept of GLI (which I find quite unfortunate as it is a very attractive and refreshing way of investing). I think it will still need a couple of years for GLI to really gain a certain amount of popularity. It is quite disappointing that we need such drastic events to really encourage organisations that there must be a change in the general western corporate culture. As non-discrimination is a part of the European Convention on Human Rights, you would expect real equality already to be in place in 2019. But there is still a long way to go until we reach the state of mind in which we can say that both women and men get the same job opportunities, the same wages and the same respect they deserve. Matthias thank you very much for this well though-out comment. Many have indeed lamented the lack of clear data to show that GLI is actually value-increasing in the long term. Let’s hope that more studies are being carried out to paint a clearer picture in this regard. At the same time, the reputational damage element you mention – in my mind – should be enough of a demonstration that it is worth it: while perhaps not yet demonstrably value-increasing, gender-conscious investing is definitely proving itself to be risk-avoiding, and thus will hopefully be resorted to more frequently from here on out. I share your regret that the Weinstein scandal had to happen for there to be a global wake-up call: let’s hope it leads to real – and not mere box-ticking – improvements.